Don lost his battle with cancer on July 9, 2016. He passed quietly in the peaceful surroundings of Marjorie Willoughby Snowden Hospice in Kamloops. Don was born in Wainwright, Alberta and was raised on the farm along with five brothers until 1943 when the family moved to Richmond BC. Don completed his education there. 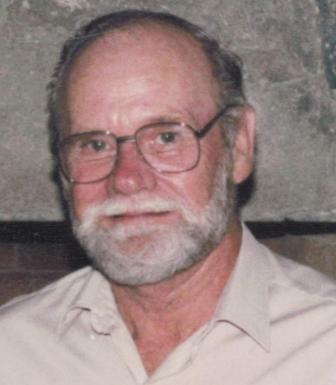 Don later obtained his Class 1 license which eventually led to being employed by TRIMAC Transportation, first in Dawson Creek and later transferring to the Kamloops branch until his retirement. Don is survived by his loving wife, Gerry, sons Kim (Gale) and Todd and their mother, Maureen. Also, step children Tony Allen (Shena), Debbie Griffin (Kevin), Rod Allen (Sheila), Greg Allen (Pam) and 14 grandchildren and 3 great grandchildren. A Celebration of Life will be held at Barriere Seniors’ Centre, Barriere Town Road, on Saturday August 6, 2016 at 1:00 p.m. For those wishing to honour Don’s memory, a donation to Marjorie Willoughby Snowden Hospice House in Kamloops, or a favourite charity of one’s choice, would be most welcome. Many, many thanks to the staff and volunteers at the Hospice, friends and family, especially Lloyd & Fran Abbey and Jan Teichrib. I’m sorry to hear of your loss. Todd and I have been friends for many years. I remember Don through Todd. So sad for your loss, Ill always remember his sense of humour, and how easily he laughed at wit and jokes, I always enjoyed running into him in the stores in Barriere, I am very glad to have known him and all his family, Gerry,Kim, Tod, and all the grandkids and great grandkids, remember his smile and laugh, nothing else matters. My best wishes to Kim, Todd and |Maureen, We had a great friendship for years and our families were close. Don has battled cancer for years and now his suffering is over.